With links to their sponsors and details. Let your friends know about this upcoming events webpage. APRIL, 2019 TOP Click the blue (or red) headers for details. Black Point Bus Tour, Stand Up Paddleboard Yoga, Bird Walk on Shiloh Road, Archery, Bobcat Chat, All About Alligators, How Hands Changed the Land, Butterfly Survey, Ask a Birder, Guided Boardwalk Hike, Fire Program, & Horseshoe Crabs. Each April, during the presidentially-proclaimed National Park Week (April 20 to 28), we join with the National Park Foundation to celebrate America's treasures. 10:00am - 3:00pm -- Enchanted Forest Nature Sanctuary, FREE. Enjoy guided hikes, special presentations, meet bats and other Florida wildlife, explore environmental exhibitors. Kids Activities, Environmental Exhibitors, Native Plant Sale, Live Animals, Local Food Vendors, and More! 2:00pm - 4:00pm -- Enchanted Forest Nature Sanctuary, No registration required. 22 -- Earth Day Movie, The Lorox. 12:00pm - 4:00pm -- Titusville Public Library. 10:00am -- Canaveral National Seashore Playalinda Beach Eddy Creek dock. Observe manatee in their natural environment and learn about their unique characteristics from park staff. 2:00pm -Merritt Island National Wildlife Refuge Visitors Center. Free. 45 minutes. Long before the Kennedy Space Center or Merritt Island N.W.R. came to exist, wildlife and people alike called this place home. Learn about how as the land changed hands, hands changed the lands. 10:00am -- Canaveral National Seashore Playalinda Parking Area #3. 6:00pm - 9:00pm -- Sand Point Park. FREE with FREE popcorn. Show up before the movie to enjoy games, popcorn, and your choice of food trucks! 9:00am - 3:00pm -- 8 sites from Cocoa Beach to Titusville. Tickets: $10. Sponsored by the Sea Rocket Chapter of the Florida Native Plant Society. Get tickets. 4:22am -- Launch Complex 40, Cape Canaveral Air Force Station, Florida. Launching the 19th Dragon spacecraft mission on its 17th operational cargo delivery flight to the International Space Station. MAY, 2019 TOP Click the blue (or red) headers for details. 10:00am - 8:00pm -- Downtown Titusville. 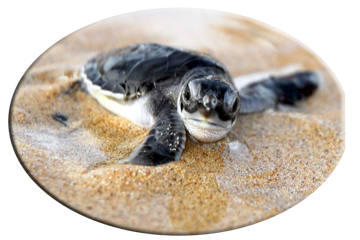 A FREE family fun community event and great day of Sea Turtle inspired fun! Sea Turtle artists, crafters, turtle talks, live entertainment, chalk art, dance groups, face painting, bounce house, sea turtle crafts for kids and more! An Indian River Lagoon clean up and a Jr Ranger program. On National Peace Officer Memorial Week we gather together to remember our fallen officers. Special Operations will include a horse and caisson, mounted posse, 21-gun salute, Taps and a special flyover. 27 -- Launch Complex 40, Cape Canaveral, Florida. Launching the Amos 17 communications satellite. Built by Boeing and owned by Spacecom Ltd. of Israel. 3:00pm - 4:00pm -- Enchanted Forest Nature Sanctuary, Registration required. A traditional class for all levels on the porch! Bring water and a mat. Wear loose-fitting clothing and do not eat anything an hour before class. The Enchanted Forest Sanctuary is looking for dynamic individuals with a passion for the environment! Memorial Day is observed on the last Monday of May. Traditional Memorial Day is May 30th. JUNE, 2019 TOP Click the blue (or red) headers for details. TBD -- Launch Complex 39A, Kennedy Space Center, Florida. U.S. Air Force's Space Test Program-2 mission with a cluster of military and scientific research satellites. July, 2019 TOP Click the blue (or red) headers for details. Launching a Crew Dragon spacecraft on its first test flight with astronauts on-board to the International Space Station under the auspices of NASA's commercial crew program. 7:00pm - 10:00pm -- Sand Point Park. A free, fun-filled, family-oriented evening with live entertainment, food and activities. Ends with a spectacular fireworks display. TBD -- Launch Complex 40, Cape Canaveral, Florida. Launching the 20th Dragon spacecraft mission on its 18th operational cargo delivery flight to the International Space Station. TBD -- Space Launch Complex 37B, Canaveral Air Force Station. Launching the U.S. Air Force's second third-generation navigation satellite for the Global Positioning System. August, 2019 TOP Click the blue (or red) headers for details. TBD -- Space Launch Complex 41, Canaveral Air Force Station. Launching Boeing's first CST-100 Starliner spacecraft on an unpiloted Orbital Test Flight to the International Space Station. The capsule will dock with the space station, then return to Earth to landing in the Western United States after an orbital shakedown cruise ahead of a two-person Crew Test Flight. September, 2019 TOP Click the blue (or red) headers for details. October, 2019 TOP Click the blue (or red) headers for details. Launching the U.S. Air Force's third third-generation navigation satellite for the Global Positioning System. Launching the 21st Dragon spacecraft mission on its 19th operational cargo delivery flight to the International Space Station. 3 & 4 -- F.A.R.M. 10:00am - 2:00pm -- Fort Christmas Historical Park. $6.00 admission. Florida Agricultural Resources Matter. Do you know where your food comes from? Learn all this and more at FARM. 9:00am - 11:00pm -- Fox Lake Park. This Fall/Halloween Party is fun for all ages. MOVIE: 6:00pm - 9:00pm -- Hocus Pocus -or- Beetlejuice -or- Goosebumps -- FREE with FREE popcorn. Come to celebrate the Fall/Halloween season at the scenic and serene Fox Lake Park. Families can enjoy the weather and atmosphere with games, music, costume contests and more! November, 2019 TOP Click the blue (or red) headers for details. 9:00am - 6:00pm -- Fort Christmas Historical Park. Free. Hear about the second Seminole War from soldiers in period dress. 12:30pm and 2:30pm: musket and cannon firing demonstrations. December, 2019 TOP Click the blue (or red) headers for details. 9:00am - 5:00pm -- Fort Christmas Historical Park. Free. BBQ pork sandwiches, chicken filets, community groups have baked goods, drinks, hotdogs, gator, sweet pickles, etc. Pioneer demonstrations - broom making, blacksmiths, basket weaving, rope making, spinning, quilting, lace making, wood carving, and many more. Large craft fair with over 150 crafters with handmade items. Christmas Post Office will have a booth so you can get your Christmas cards hand stamped. Click for local destinations with maps and print-outs.